Yellow Topaz and Citrine is November’s birthstone! Topaz is one of the hardest minerals found in nature. Topaz crystals can reach remarkable sizes…even several hundred pounds! 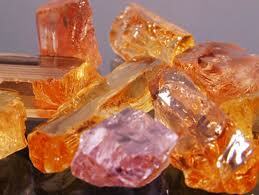 Topaz is a very attractive mineral due to its high luster, nice colors and well formed and multifaceted crystals. Topaz can be colorless, yellow, orange, red, blue and green, but for the birthstone it is yellow topaz. Citrine, a modern November birthstone, is a more affordable alternative for the November birthstone. Citrine symbolizes cheerfulness, hope and youth. 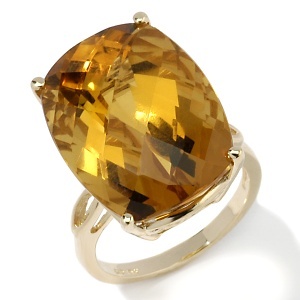 Citrine is a form of quartz, it can range in color from yellow, yellow-brown, orange, dark orange-brown to reddish-brown. Citrine crystals can form together with amethyst or smoky quartz to create ametrine, a bi-colored quartz. Come and check out citrine earrings and ring!